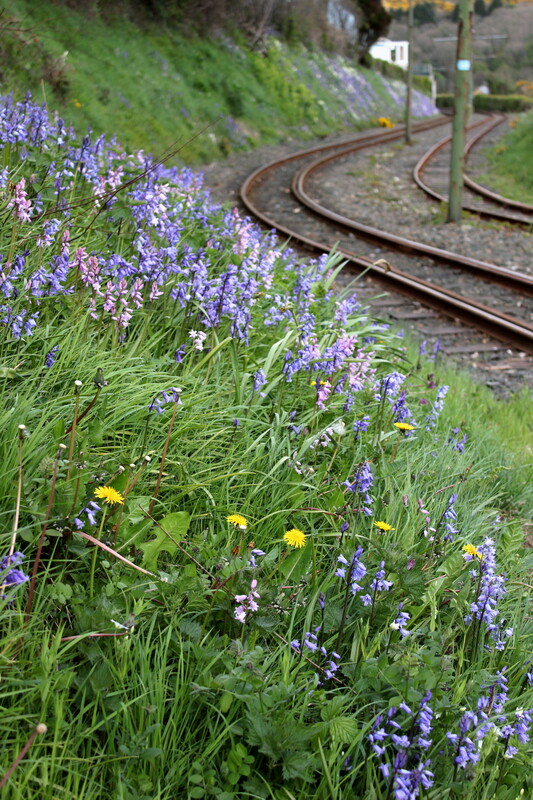 The bluebells have eventually arrived, much later than last year due to this year’s cold, wintery start to spring. 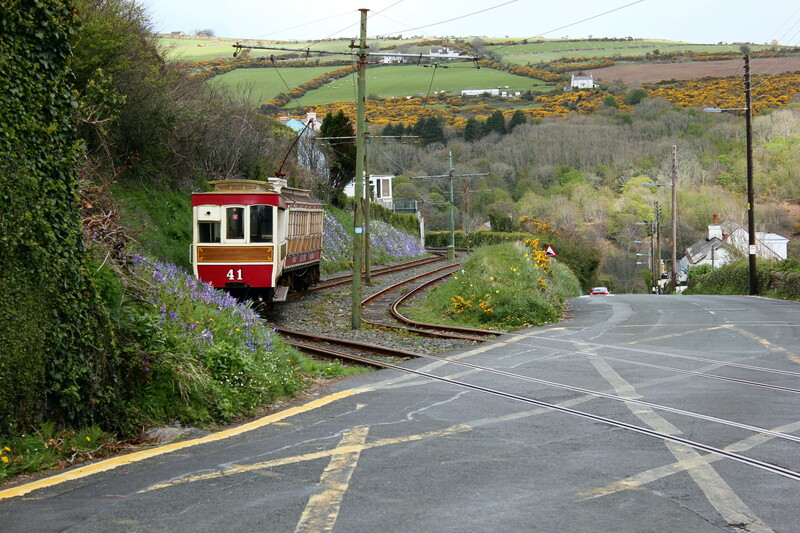 This is the electric railway crossing on Old Laxey Hill which leads down to the bay. 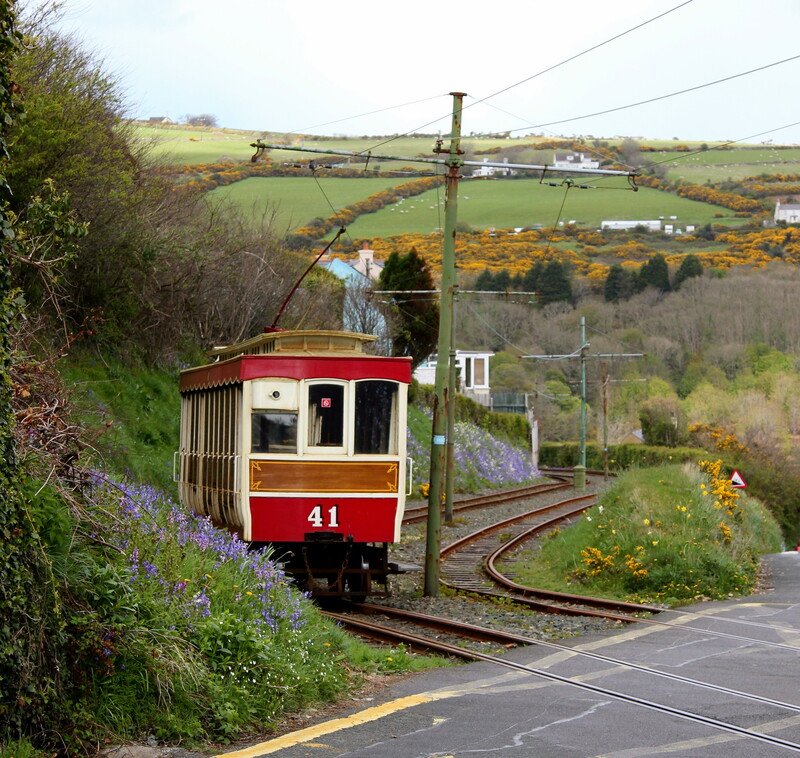 This entry was posted in Landscape and tagged Bluebells, electric railway, Isle of Man, Landscape, Laxey, Nature, Photography, Travel on May 12, 2013 by jackie prince. Nice photos Great use of colours. Thank you. I really like your Kew and Woodland series. This is such a beautiful and inspirational landscape! Nice photos, too. 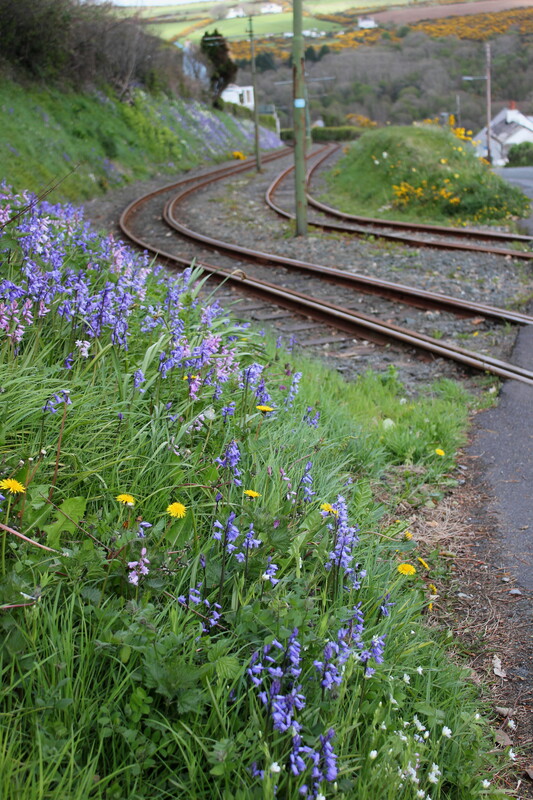 How lovely to see the bluebells. 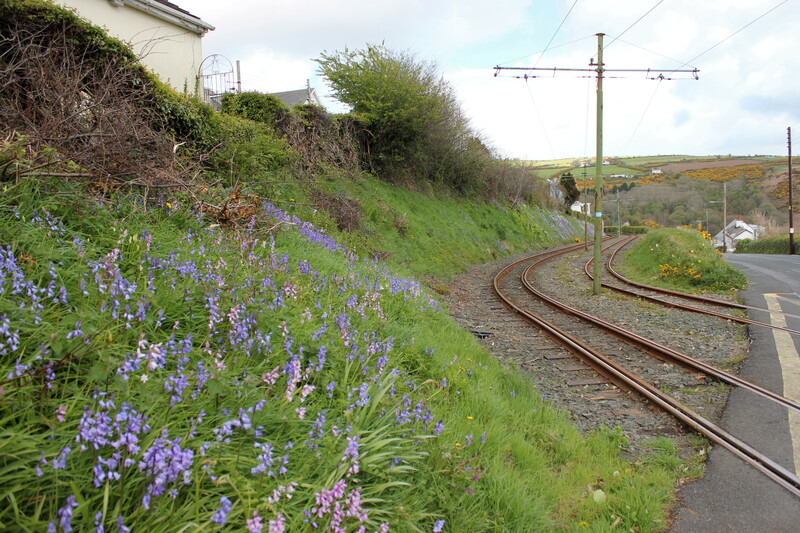 They’re a great reminder of the bluebells where I lived in Sussex for 6 mths back in 1978. 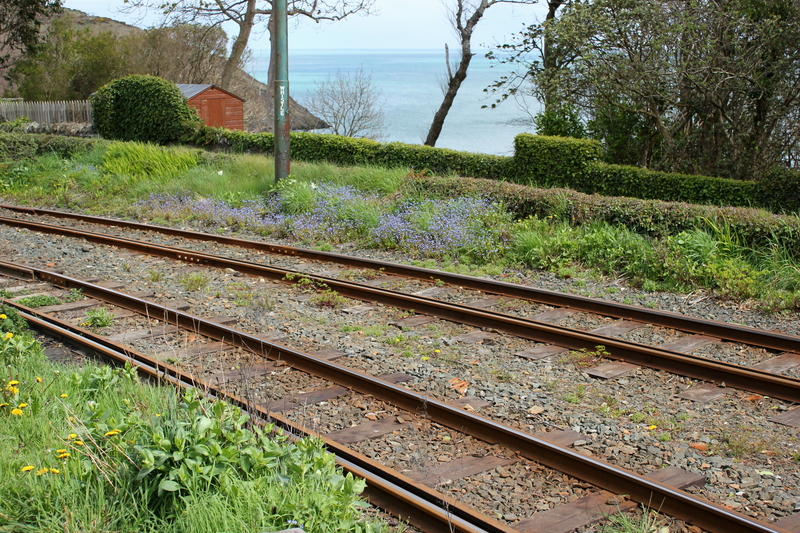 They look good in the compositions with the railway lines – nice angle. Unfortunately, I think some of those are the Spanish bluebell invaders? I’m going by the fact that some are pink so I think hybridised… They’re beautiful flowers though aren’t they? Yes, I wondered where the pink ones came from. I do like them too when they are all fresh and new.